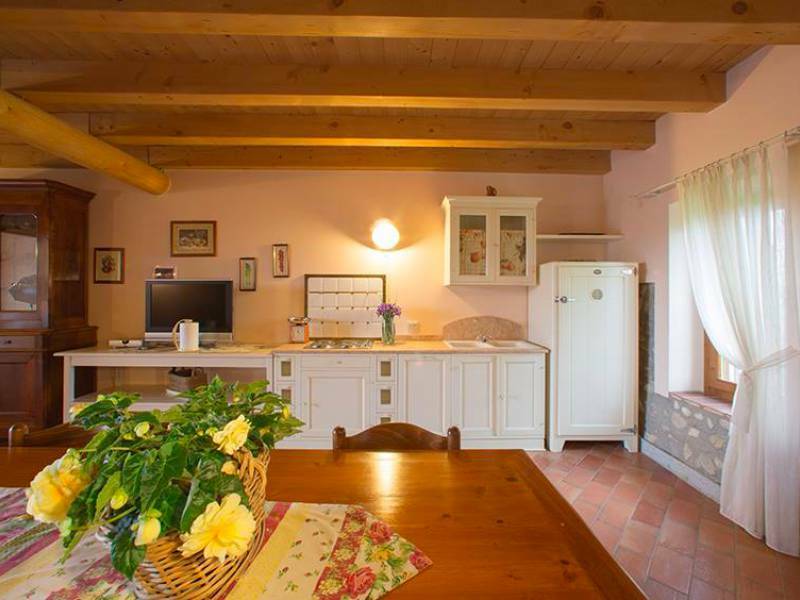 This agriturismo is from the same family as agriturismo 9, where their daughter lives, and the two are just 2 kilometers apart. 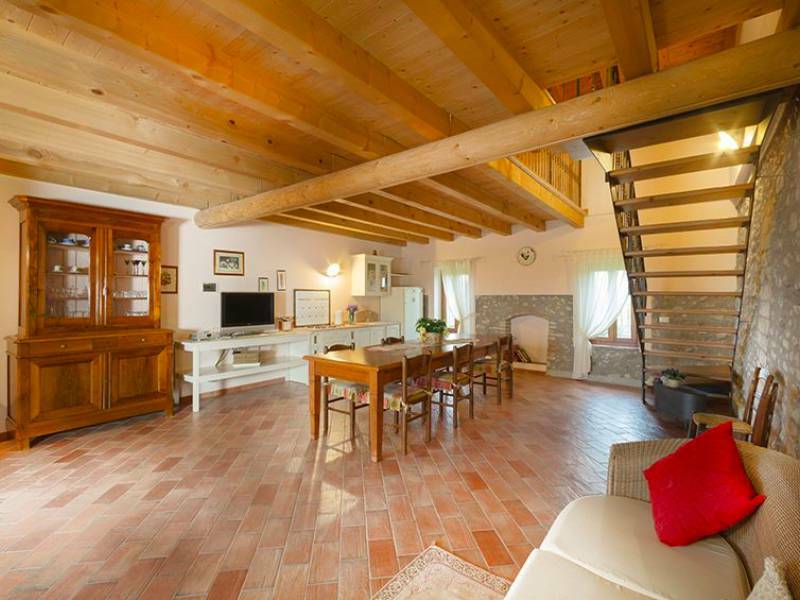 The agriturismo is situated in a beautiful and quiet area admidst their own vineyards, about 7 kilometers from Lake Garda. The charming lake towns of Sirmione, Desenzano and Peschiera del Garda can be reached in 15 minutes. 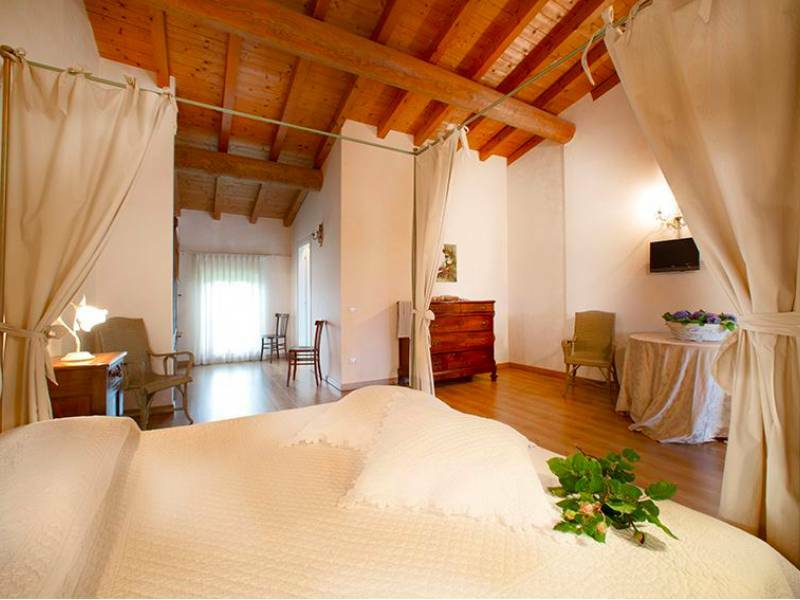 The old farmhouse has been completely renovated with a restaurant downstairs and the upstairs suites and apartments. In the beautiful garden is a swimming pool, surrounded by roses, with sunbeds and umbrellas. There is a large vegetable garden. 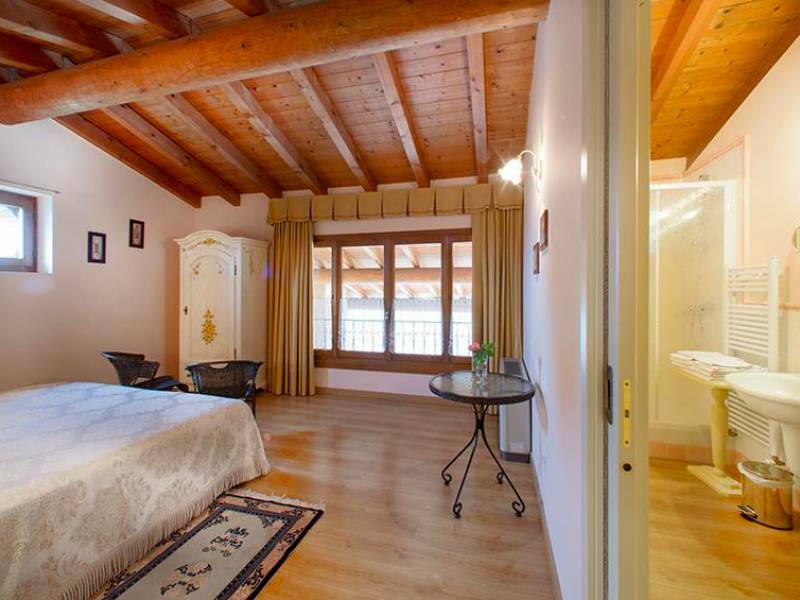 There are two large suites on the first floor with private bathroom, flat screen TV and minibar. The suites have their own seat on the shared veranda. The veranda provides shade in the summer and ensures can still sit outside during chilly evenings. There are also two large apartments on the first floor. The apartments consist of a spacious living kitchen with sofa and a bathroom. 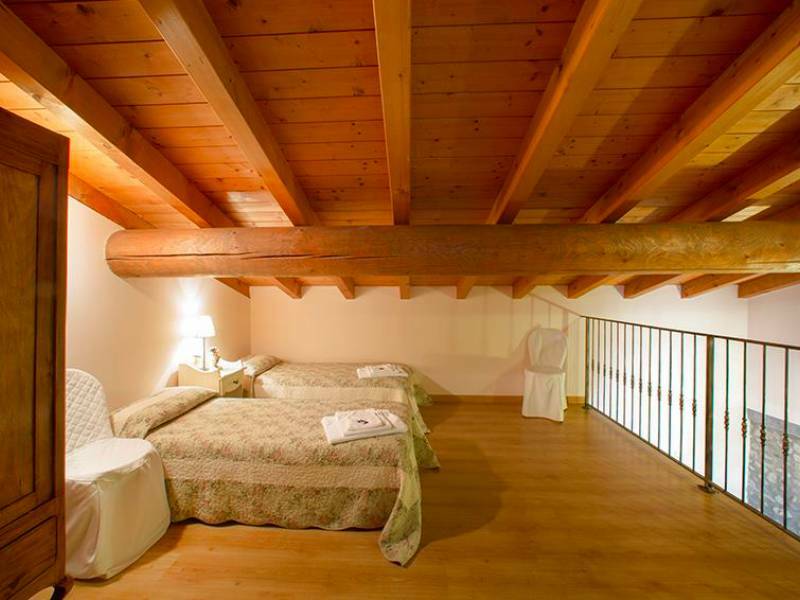 Upstairs is a spacious double bedroom, 2 single beds on an open loft and a bathroom. The apartments have their own seat on the large shared veranda. On the ground floor the restaurant is located and a bar where you can get your morning coffee and breakfast. The restaurant serves local cuisine with its own quality wines and is open every day except Monday. The restaurant is widely used by the locals for weddings and that's always a good sign for the quality. 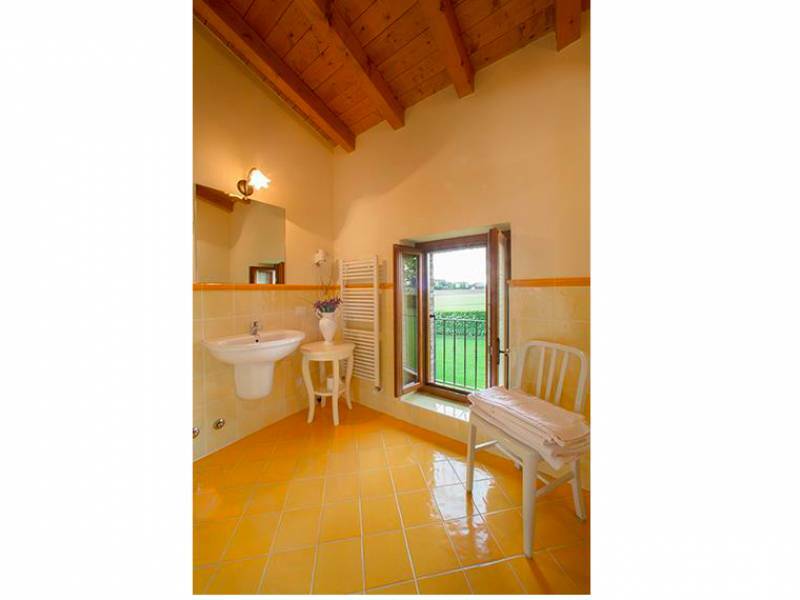 The agriturismo has a lovely pool with sunbeds where you can relax and enjoy the view. 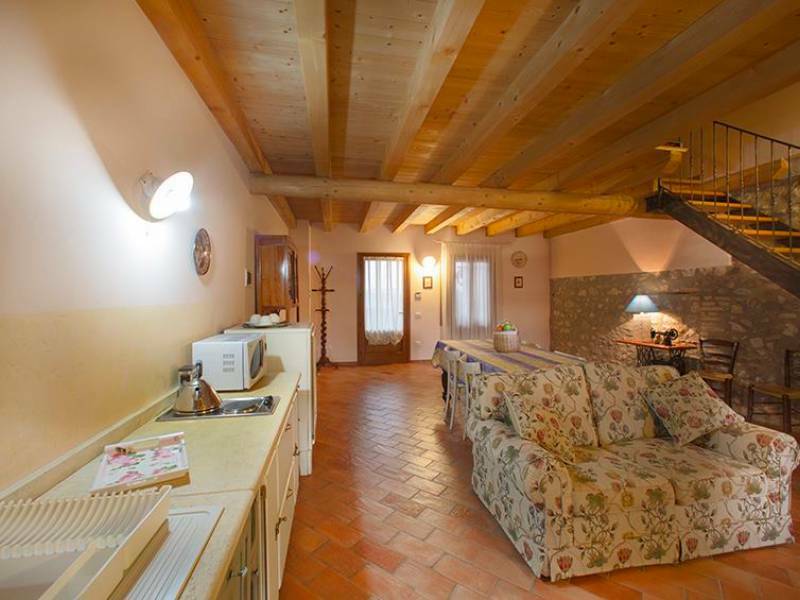 This is a small and cozy agriturismo with friendly owner. After a day exploring lake Garda is wonderful to come back here and enjoy the quiet of the countryside. And of course to have dinner in the restaurant accompanied with their own wine. Spacious suite on the first floor with private bathroom, flat screen TV, minibar and a private sitting area on the large shared veranda. Possibly an extra bed or baby bed can be added. 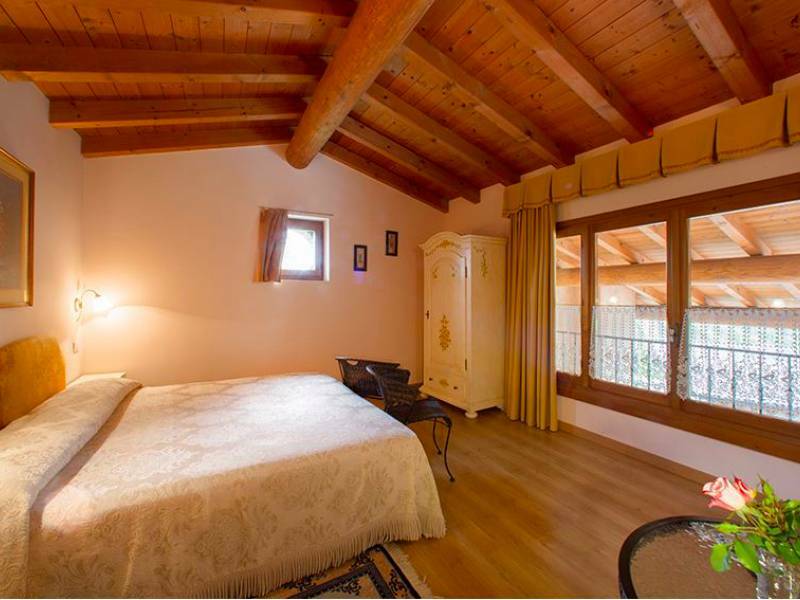 Spacious apartment on the first floor with its own seat on the large shared veranda. The apartment consists of a spacious living kitchen with dishwasher and sofa. 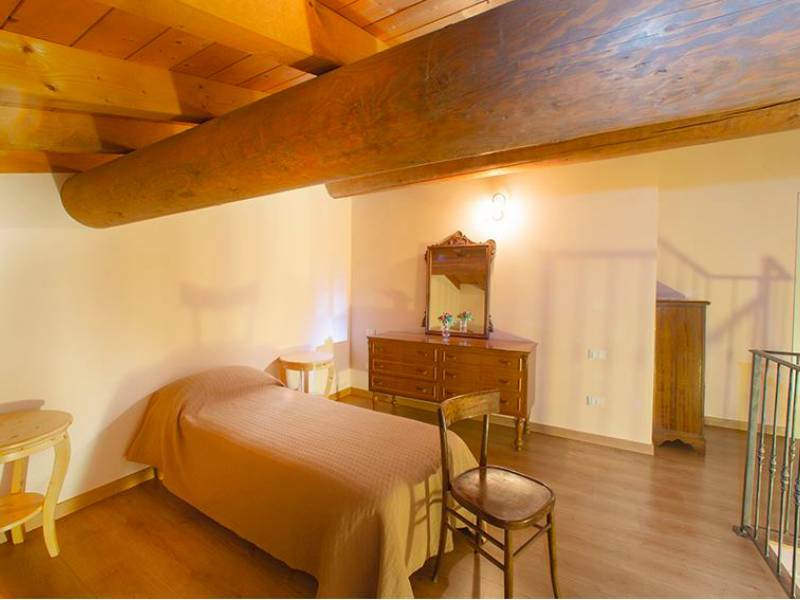 Upstairs is a spacious double bedroom, 2 single beds on an open loft and a bathroom. 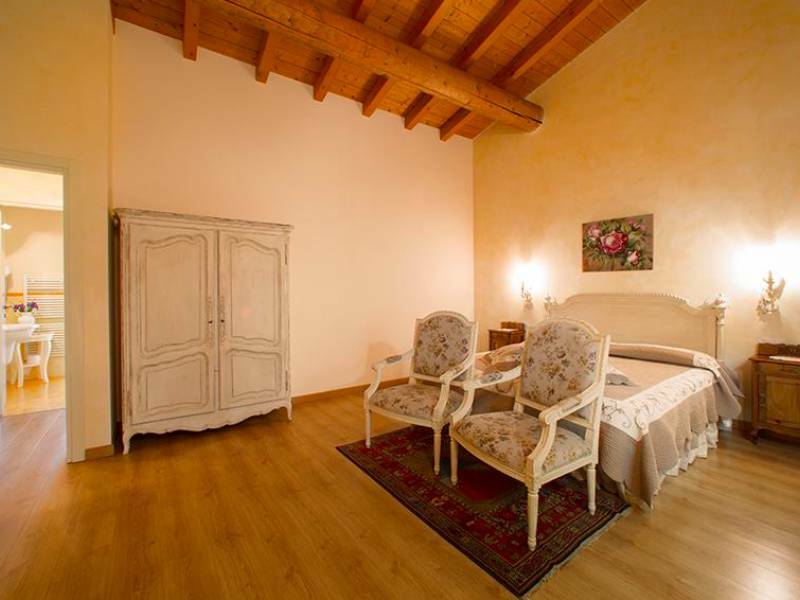 Spacious apartment on the first floor with its own seat on the large shared veranda. The apartment consists of a spacious living kitchen with dishwasher and sofa and a bathroom. 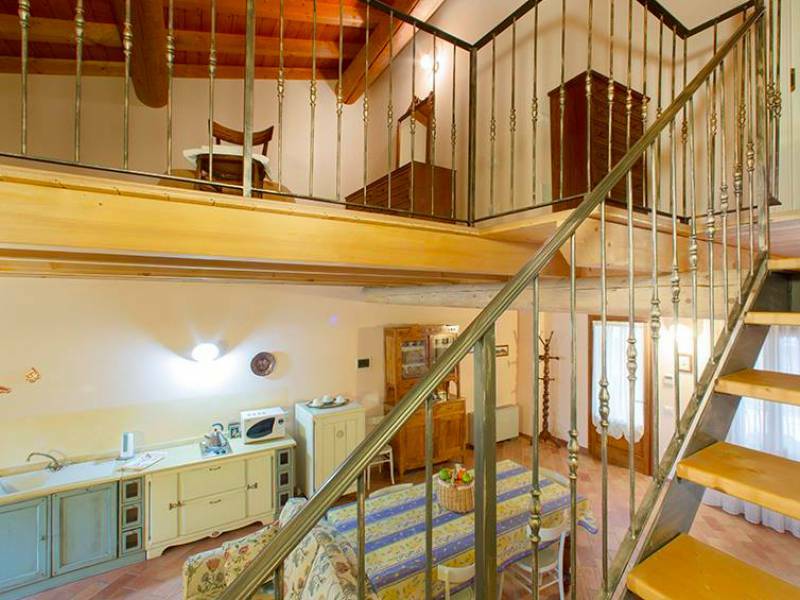 Upstairs is a spacious double bedroom, 2 single beds on an open loft and a bathroom. 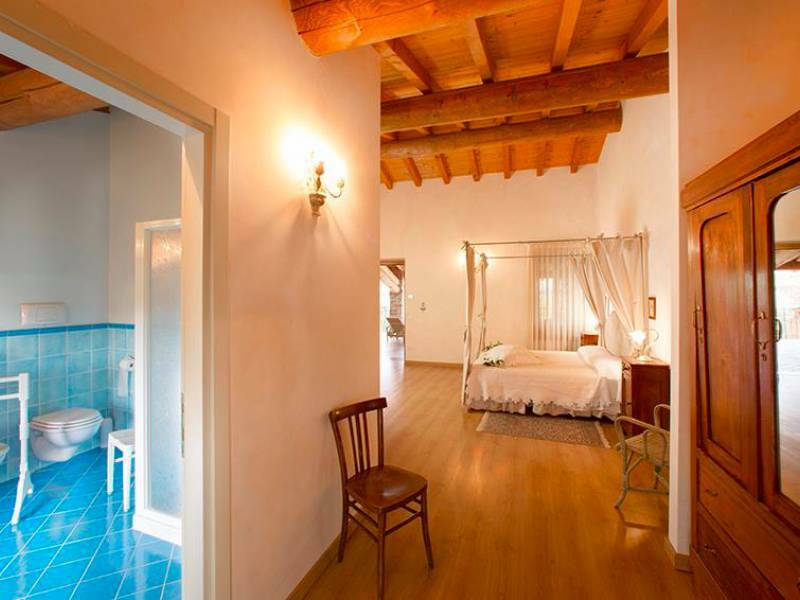 Prices are per night and for 2 persons for the suites and for max. 4 people for the apartments and include use of water, gas and electricity, towels and bed linen, air conditioning and wifi. Final cleaning: € 40 per apartment. Breakfast: € 10 per day (included for the suites). 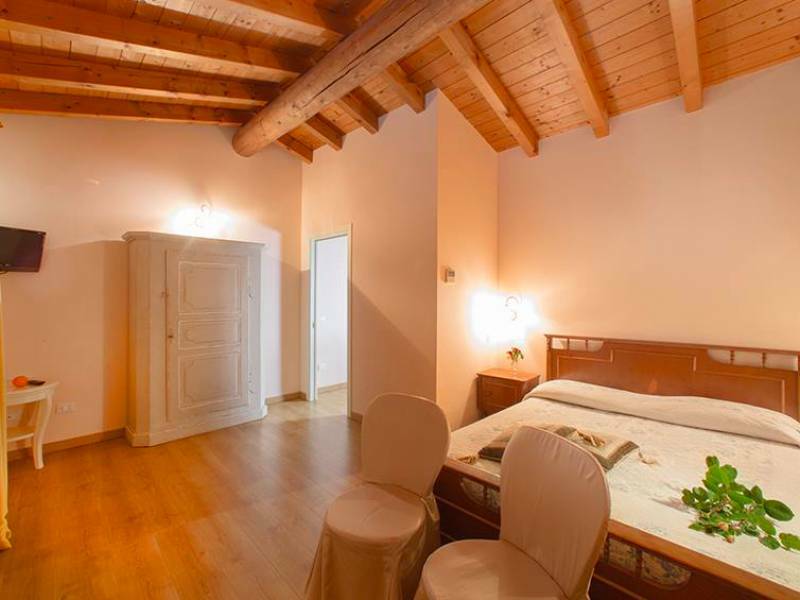 Extra single bed: € 15 per night. Cot: € 10 per night. Pet (small size): € 10 per day. Tourist tax: € 0.50 per person per day for persons over 12 years. Restaurant: Open from Tuesday to Saturday evening (closed on monday). Open on sunday for lunch.